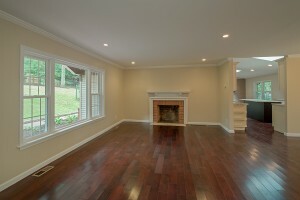 Here is the home you have been waiting for. 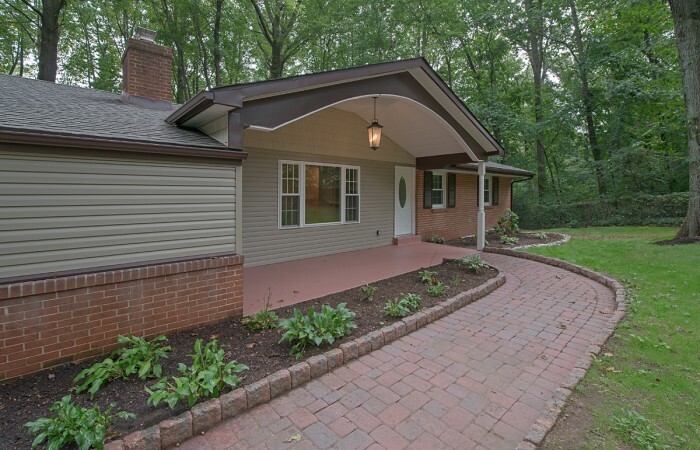 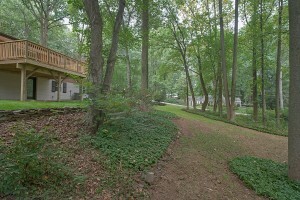 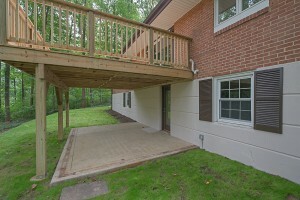 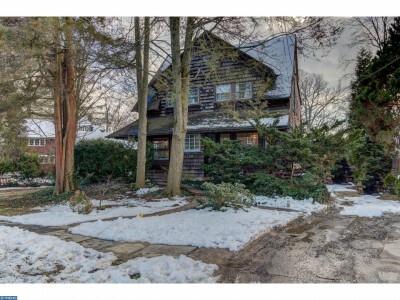 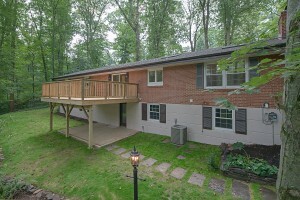 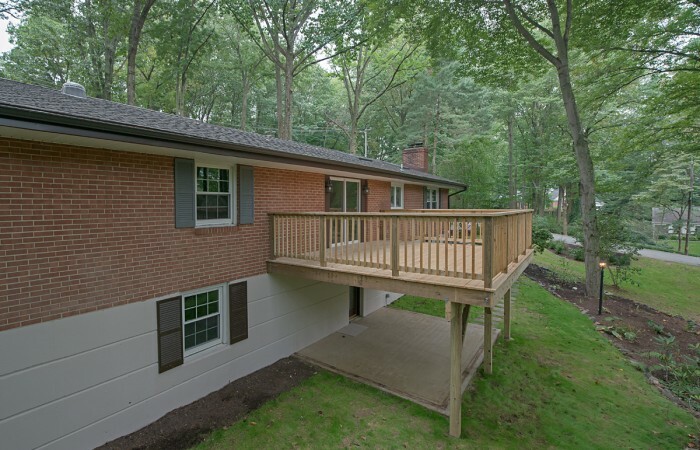 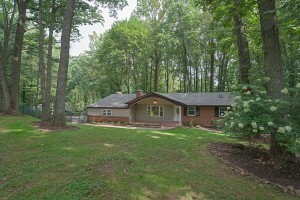 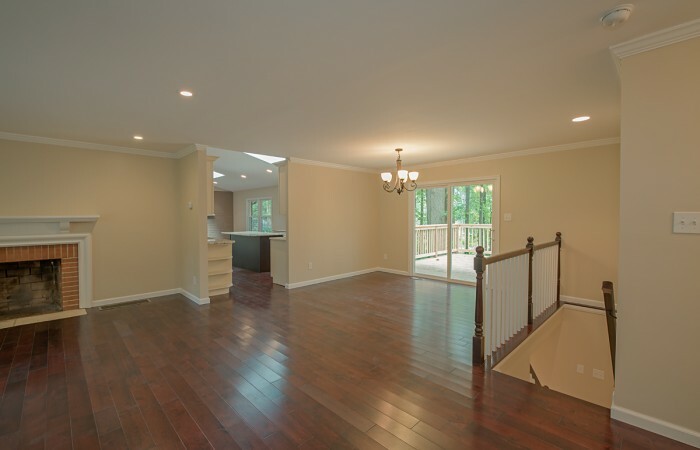 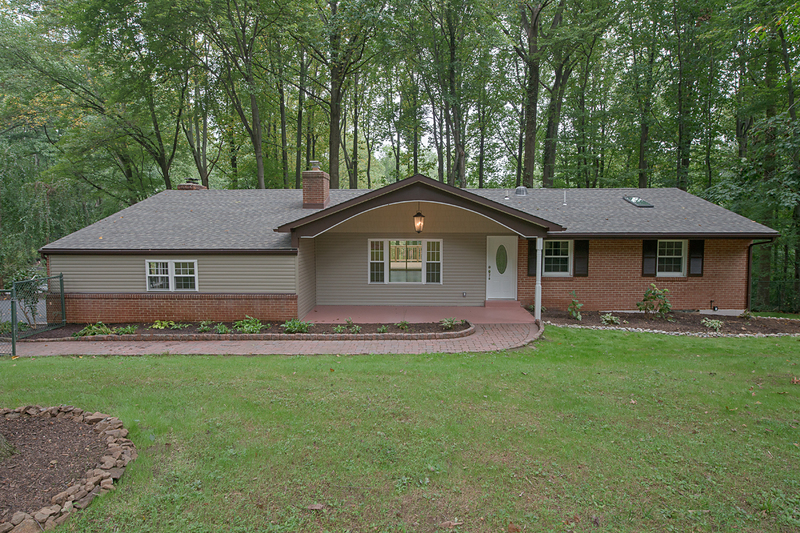 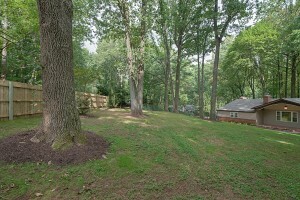 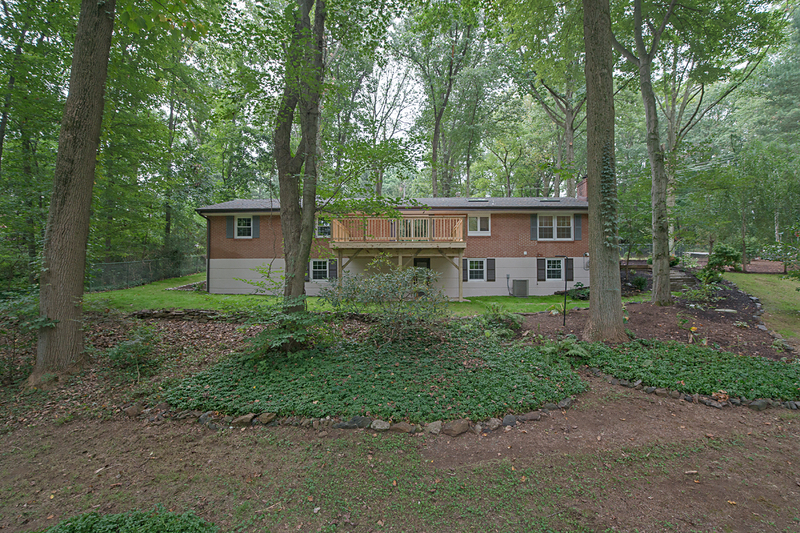 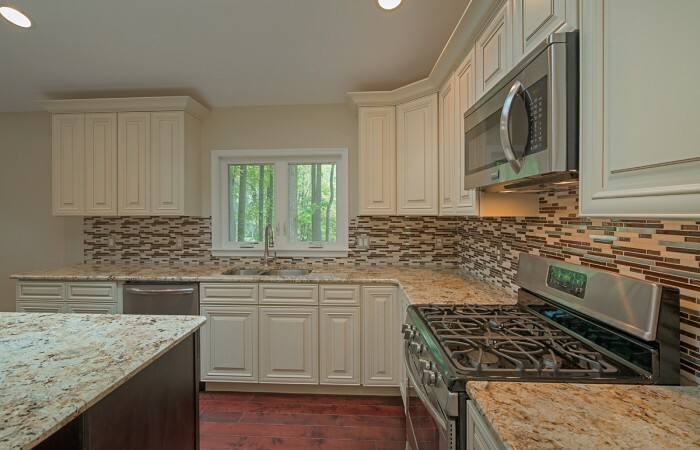 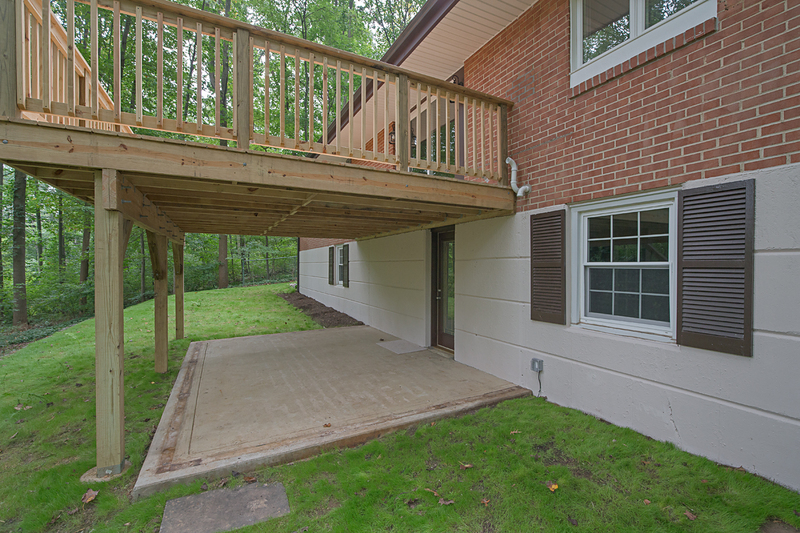 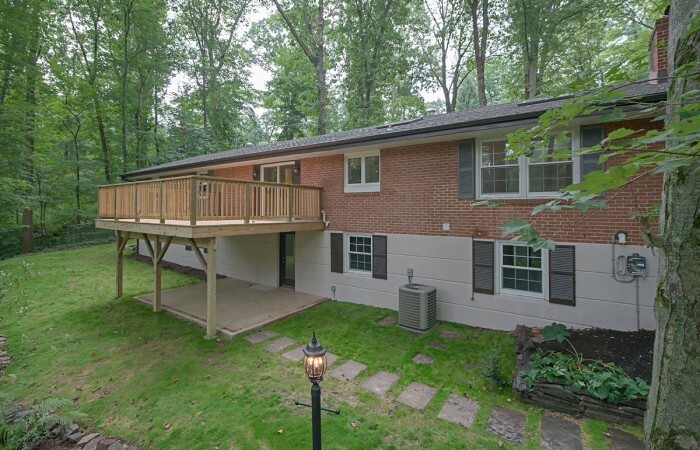 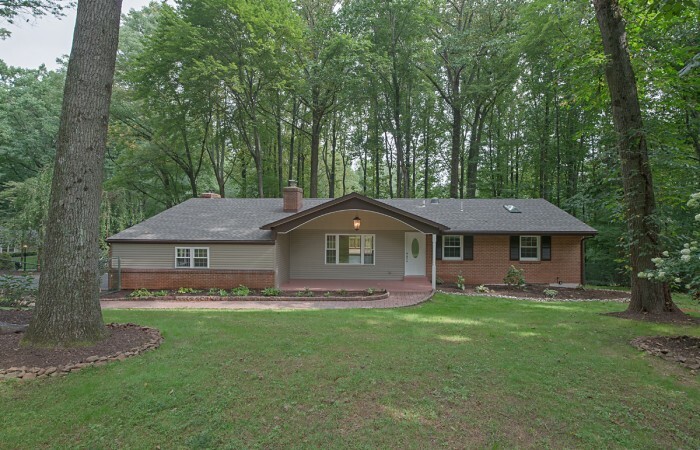 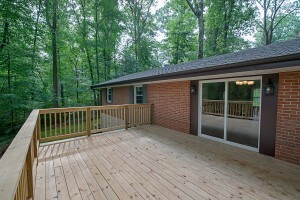 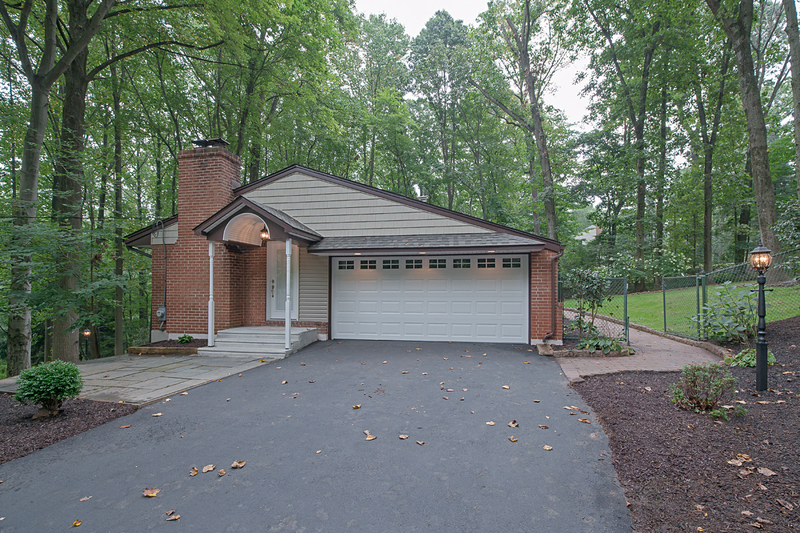 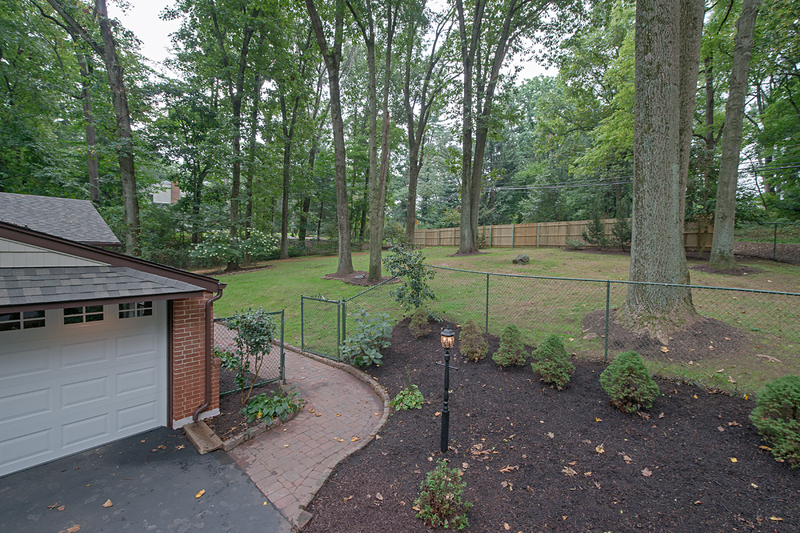 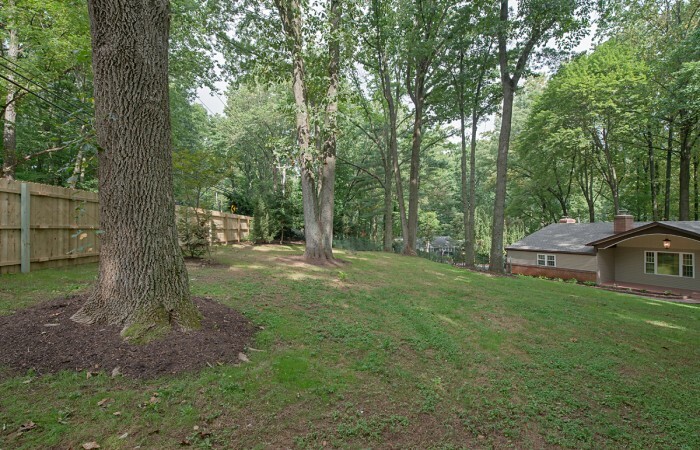 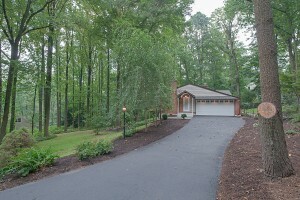 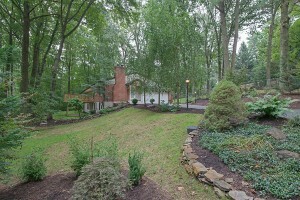 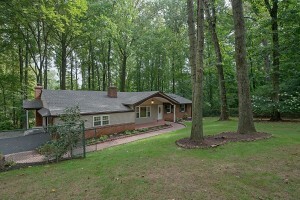 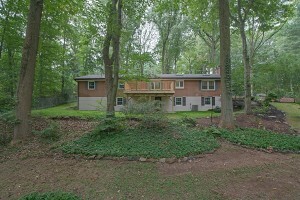 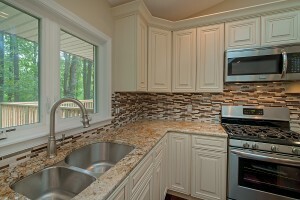 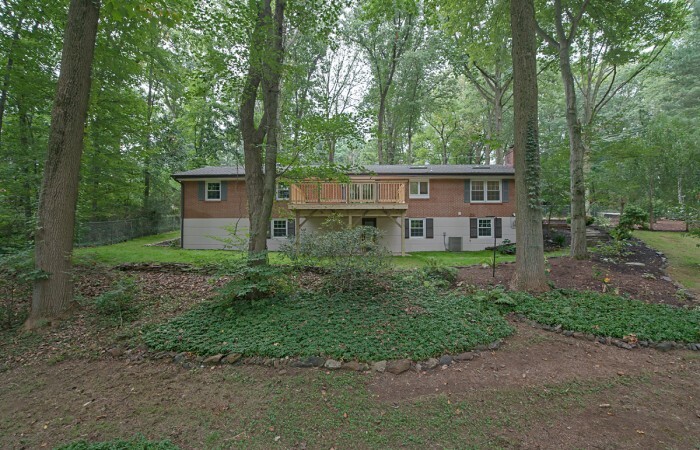 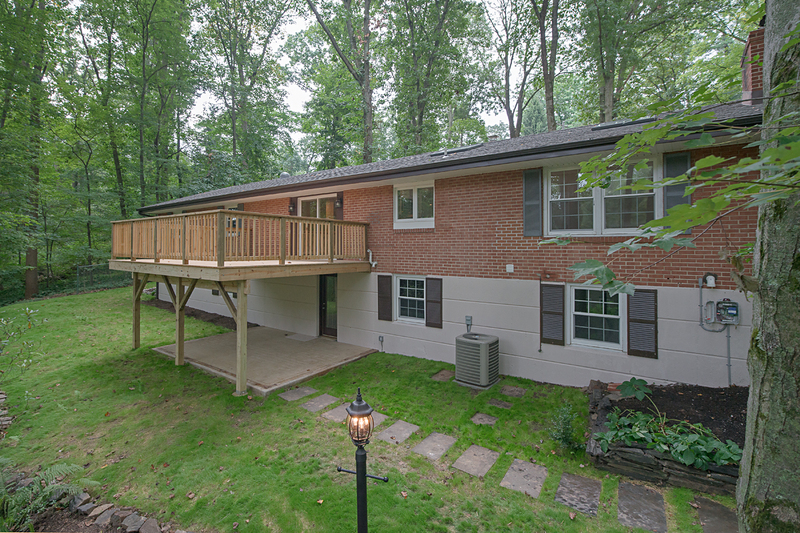 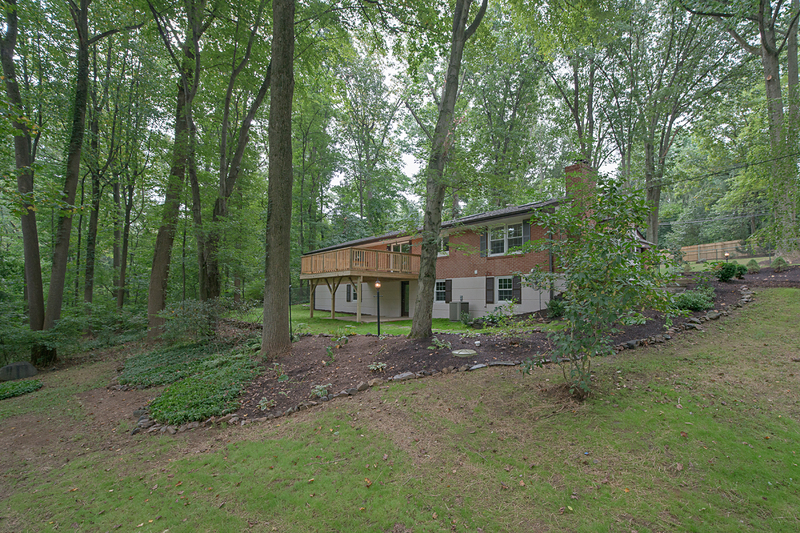 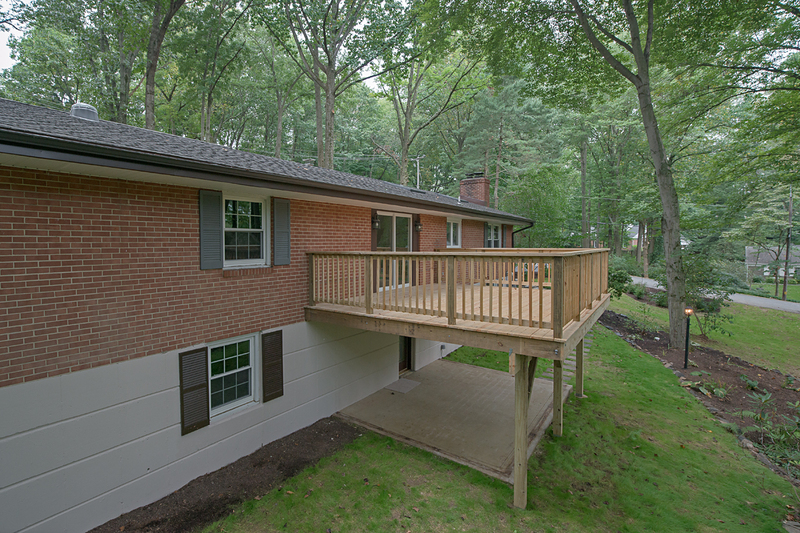 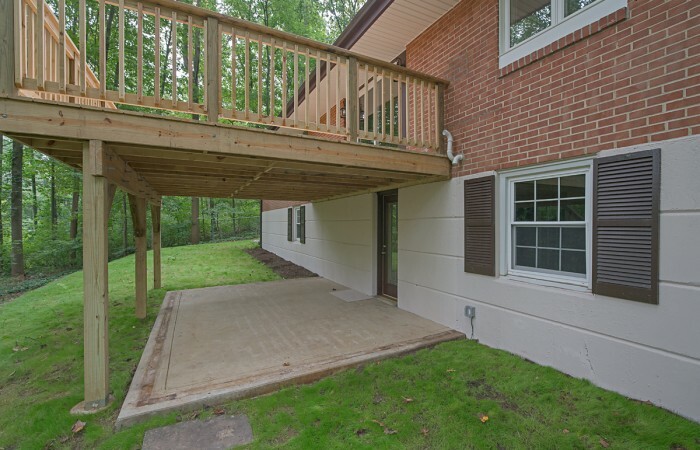 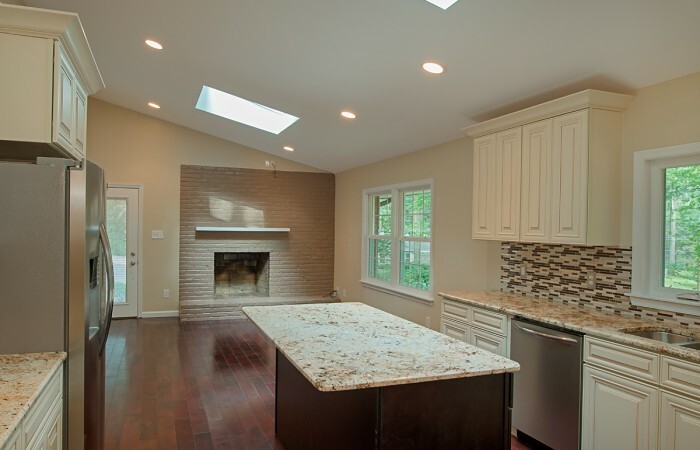 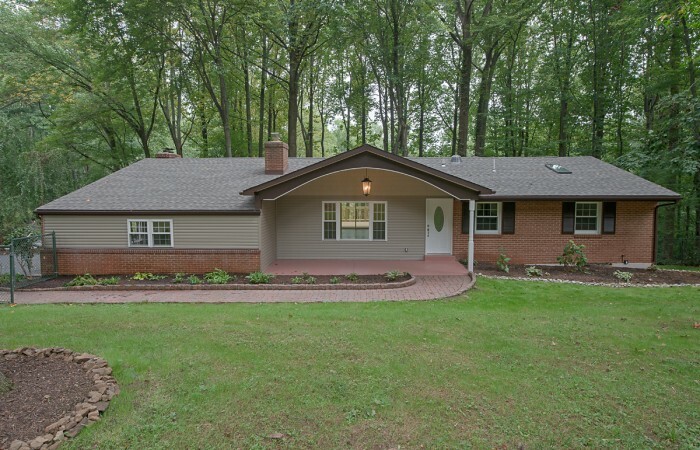 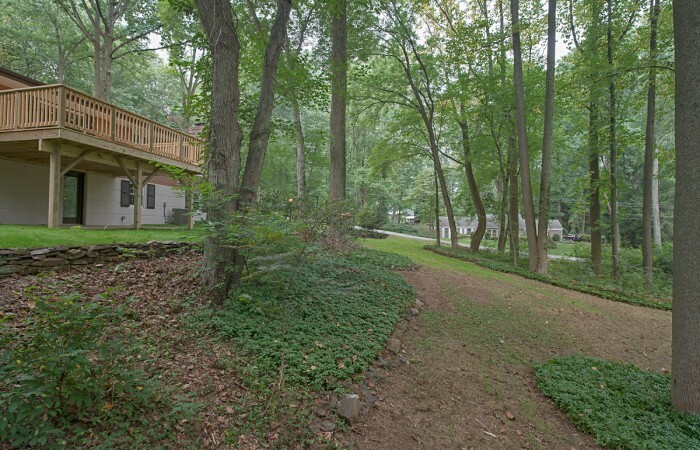 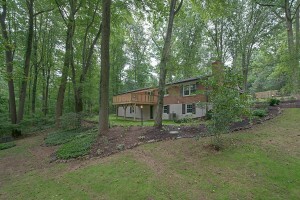 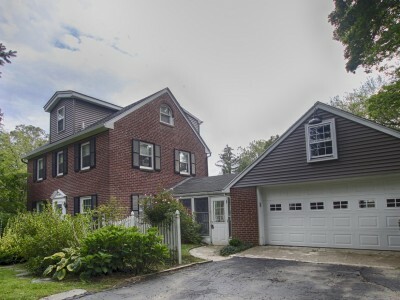 Fully renovated expansive 3000 square foot Media home on nicely wooded lot. This home has everything you could want and is new, new, new. 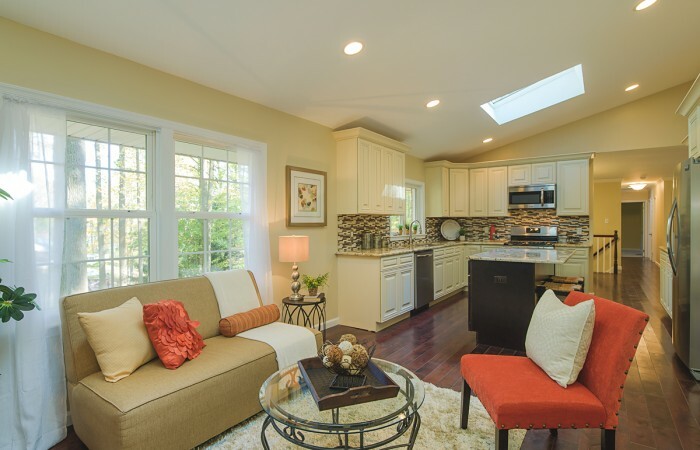 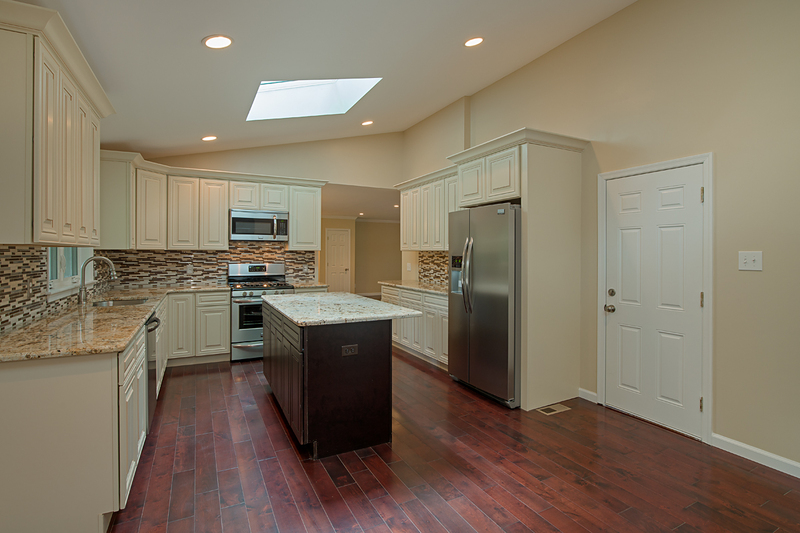 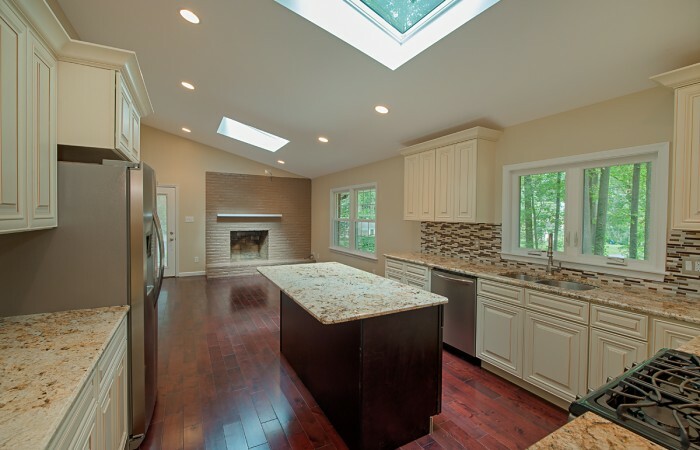 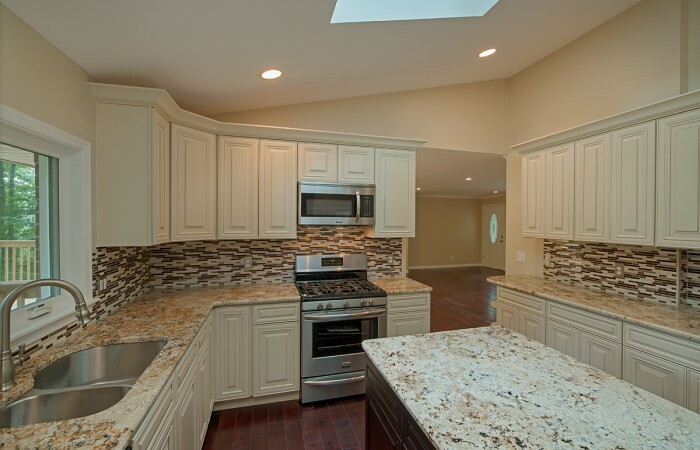 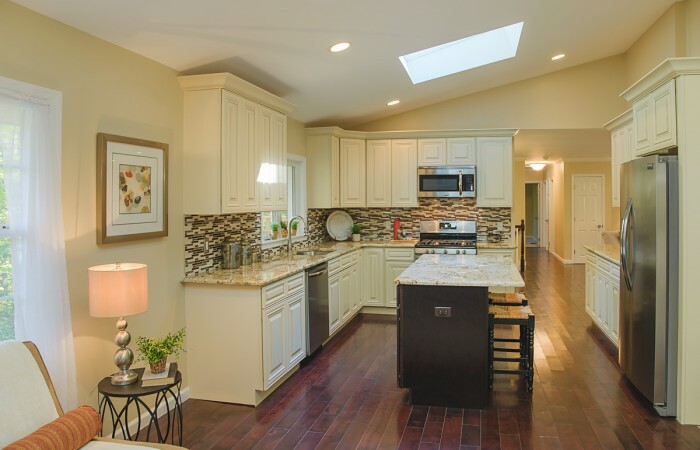 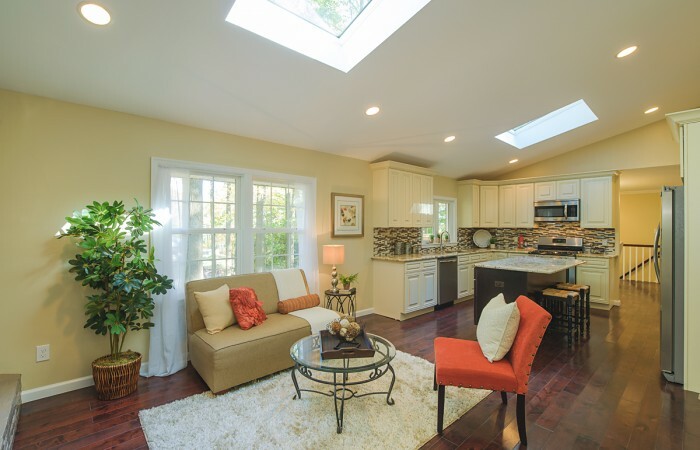 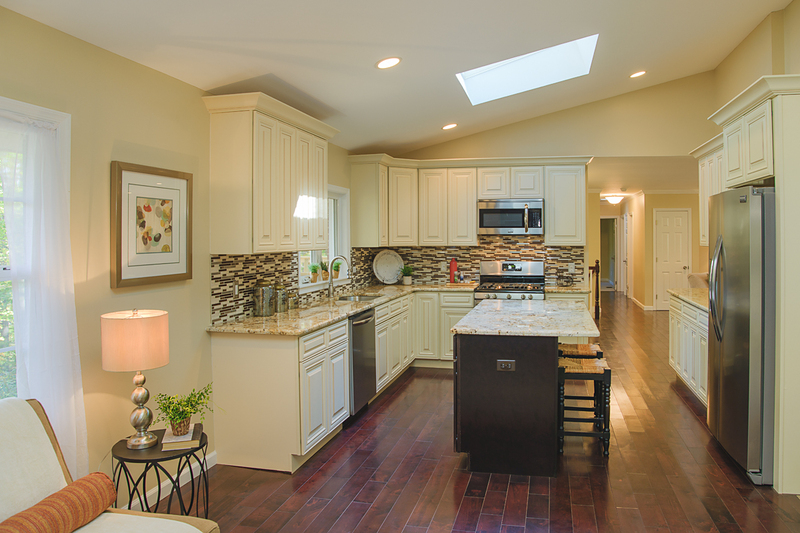 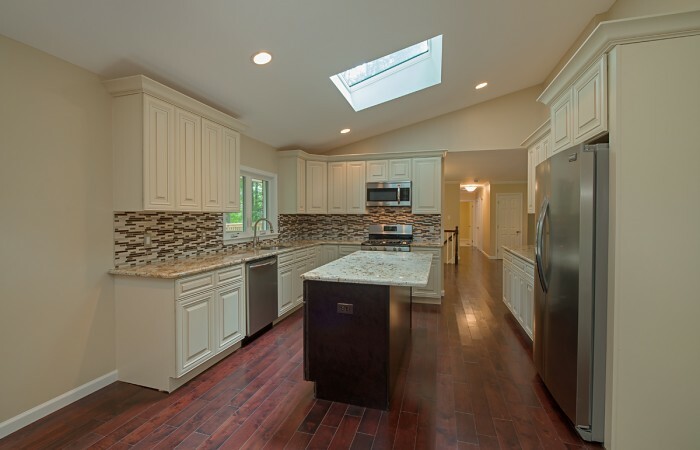 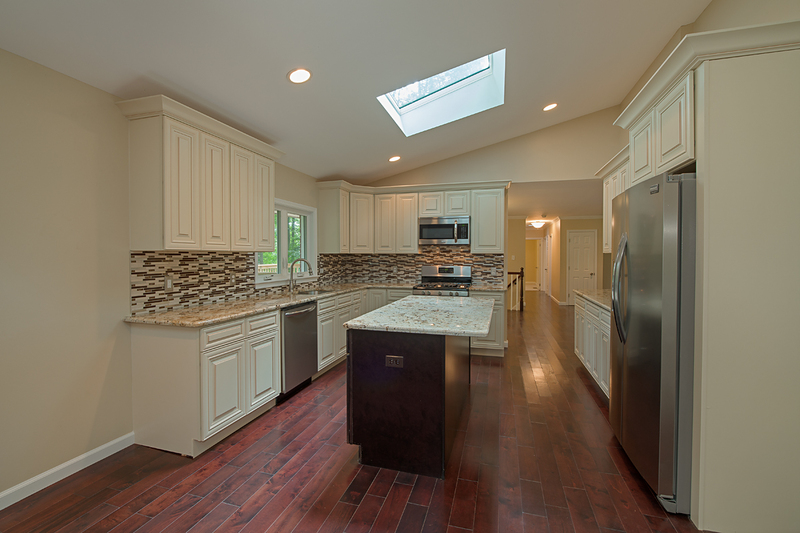 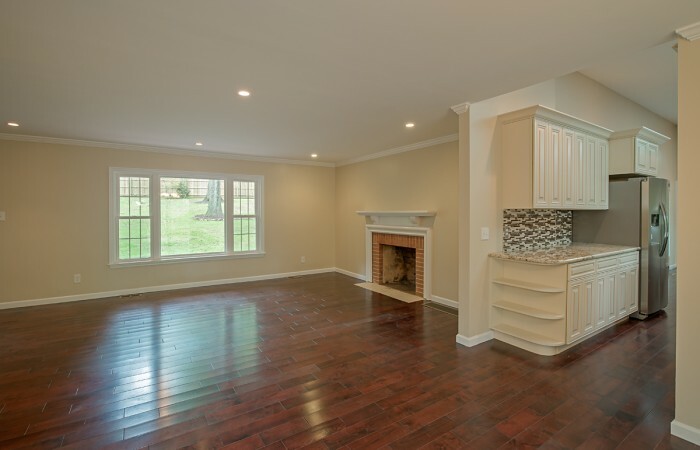 Upon entering you will first notice the new 4.75″ wide Tuscan Red hardwood floors, the vaulted ceiling with two massive 46″ x 46″ Velux skylights that flood the new kitchen with tons of natural light. 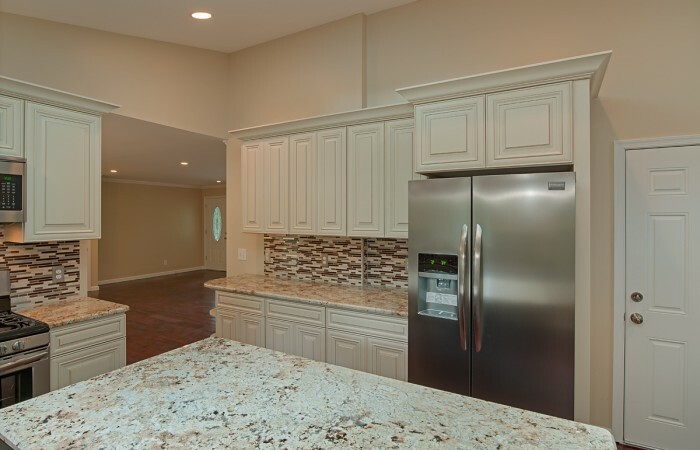 The kitchen features all new cabinets with soft close doors and drawers, recessed lights, granite countertops, large island, Frigidaire Gallery Stainless Steel appliances including 5 burner gas stove, glass tile backsplash and double under mount sink. 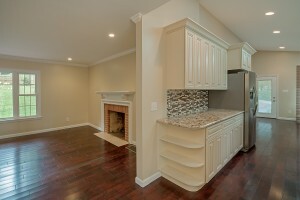 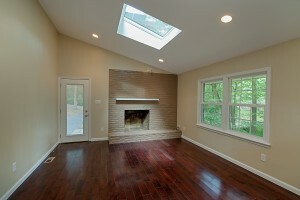 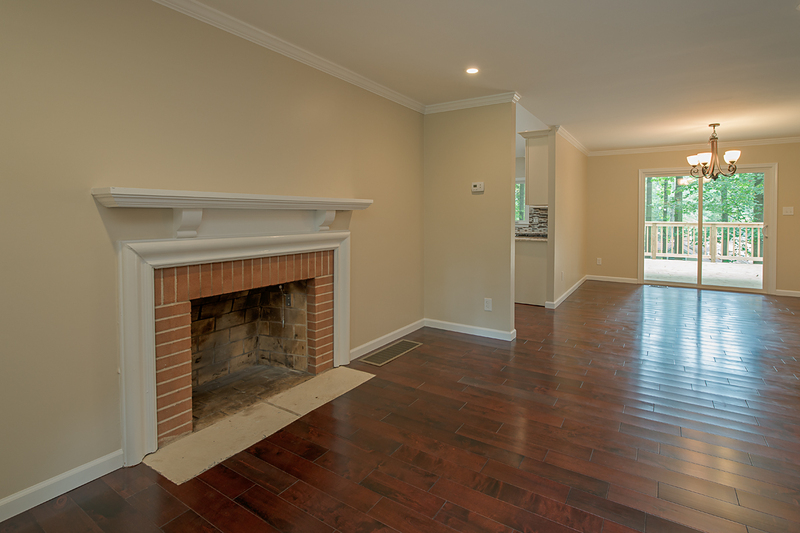 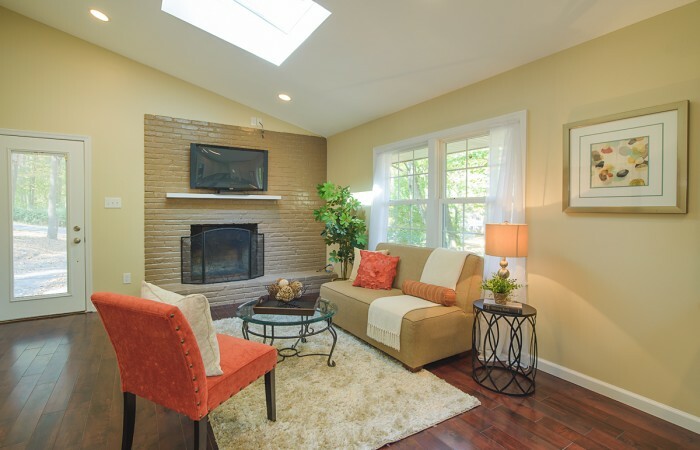 There is an attached family room/ sitting area with fireplace and pre-wired TV outlet above the mantle. 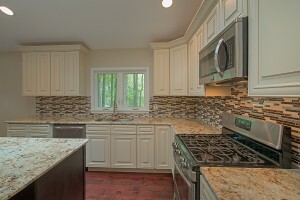 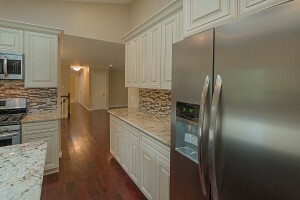 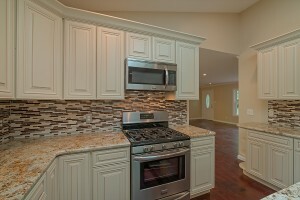 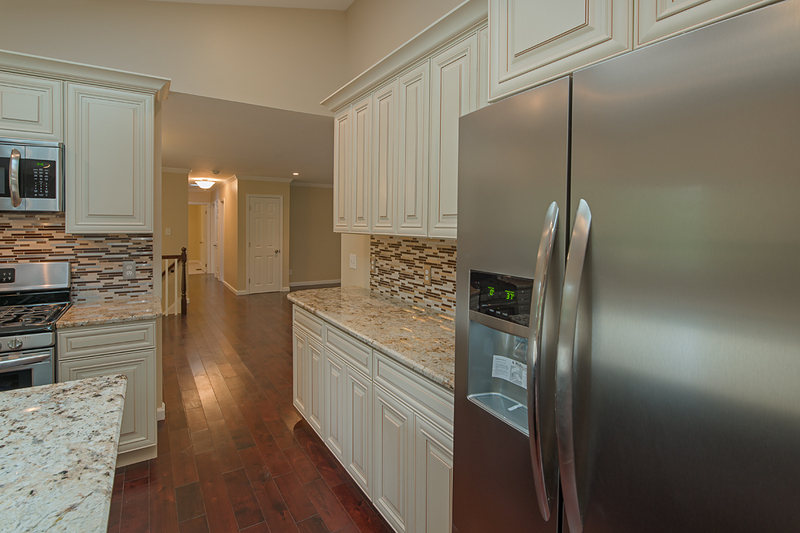 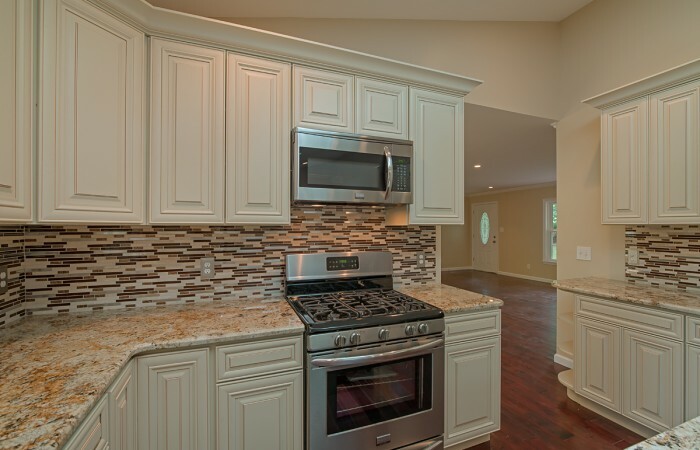 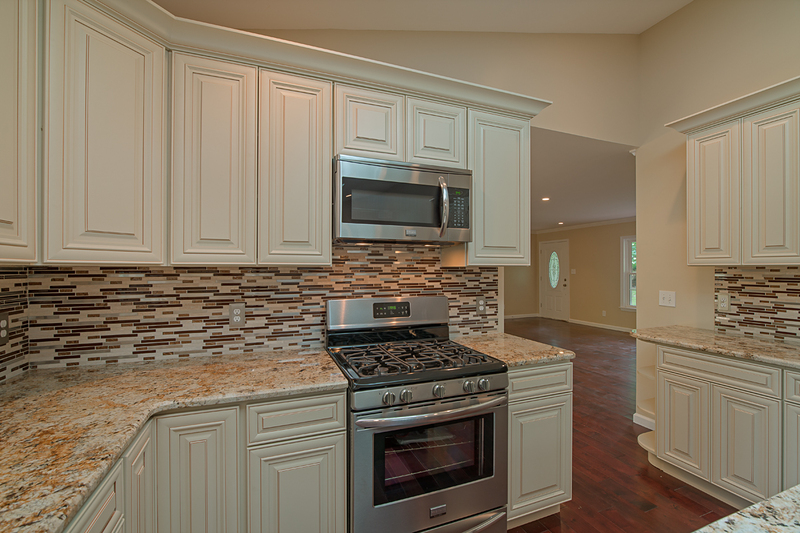 The kitchen flows into the open concept formal living room and dining room. 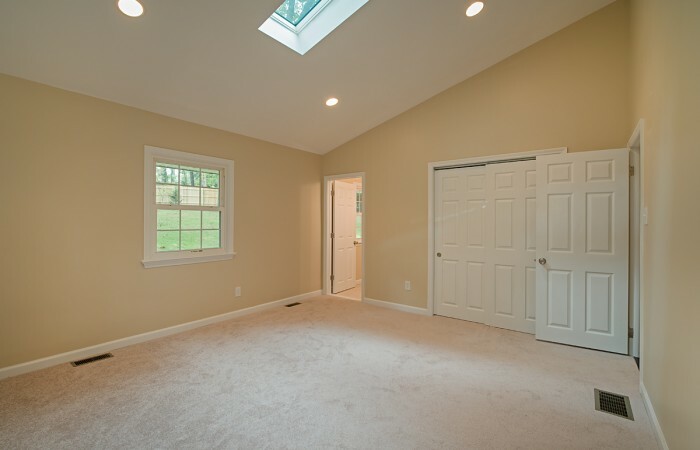 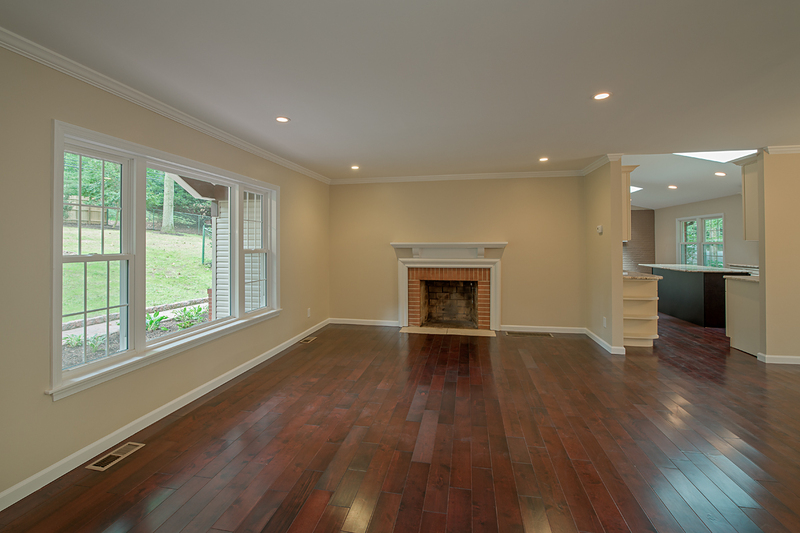 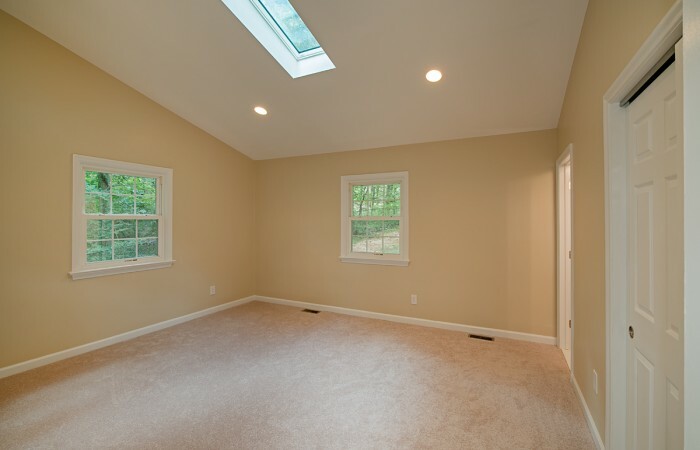 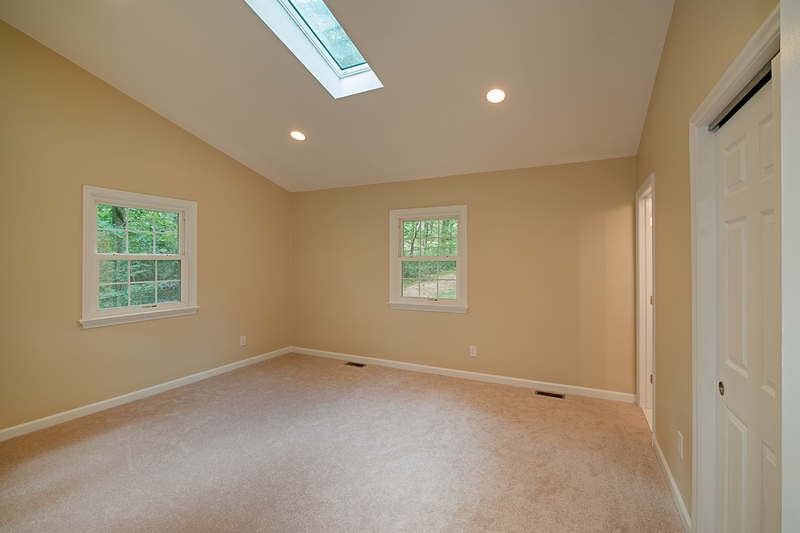 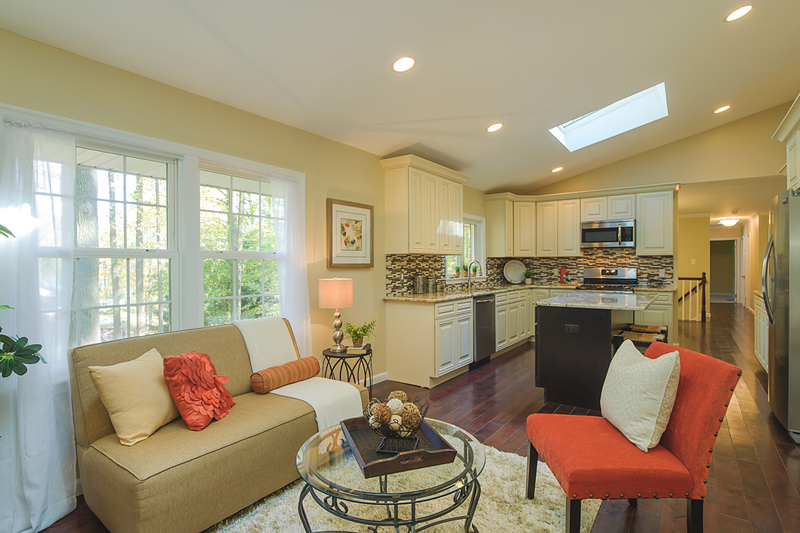 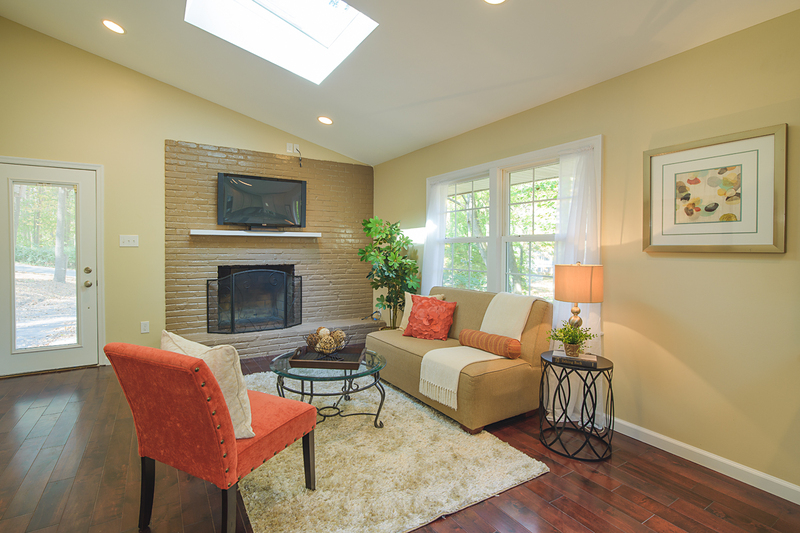 The living room has a large new 8′ wide picture window to front porch/ yard, recessed lights and fireplace. The dining room is open and bright and glass sliding doors opening to new deck overlooking the wooded rear yard. 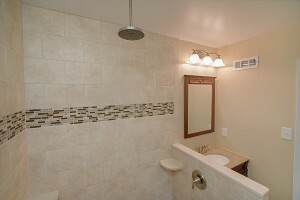 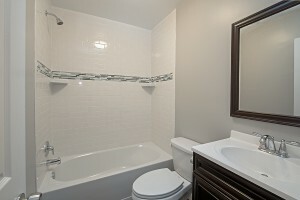 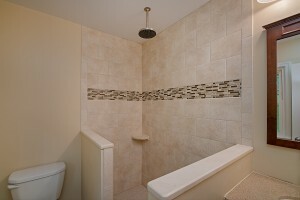 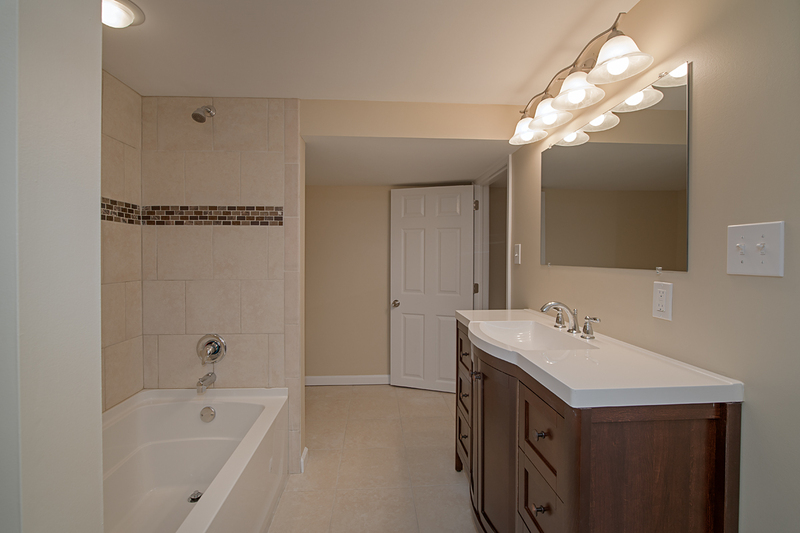 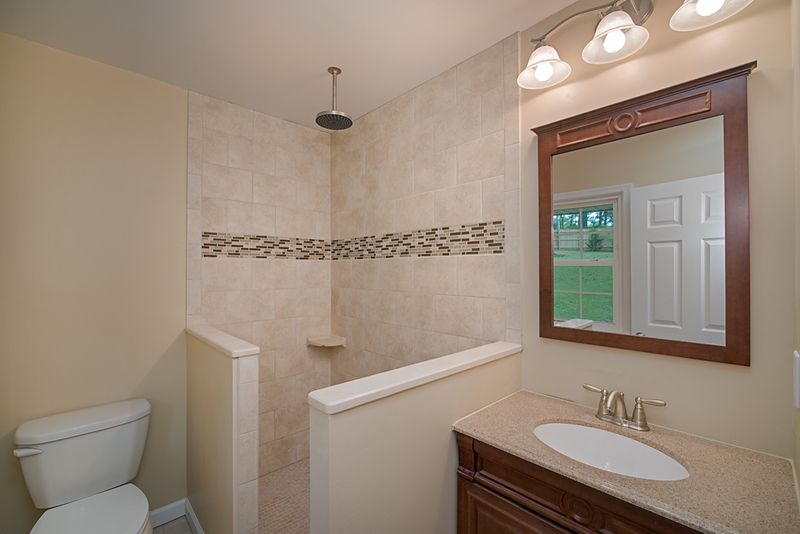 The hall full bath has 12 x 24″ tile floor, subway tile tub surround with glass tile inlay and solar tube for additional natural light. 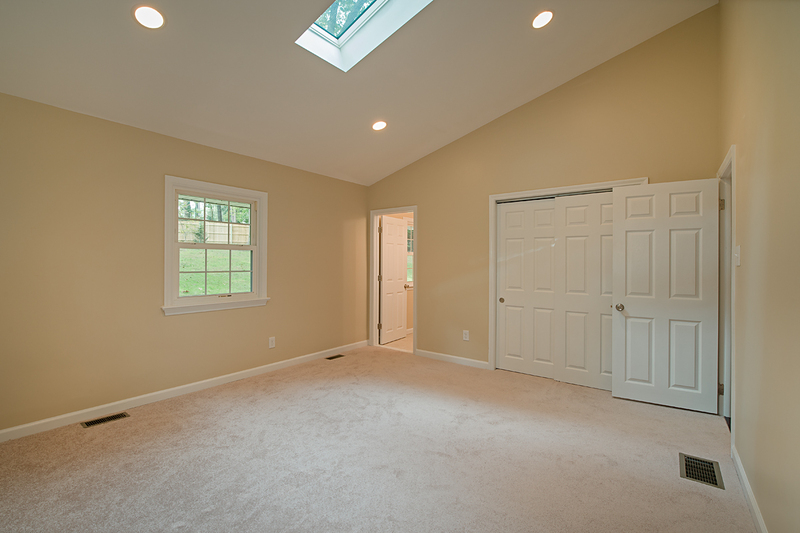 The airy master bedroom has a vaulted ceiling with Velux skylight and features a private master bath with 5′ x 3′ tiled walk in shower with inlay and rainfall shower head. 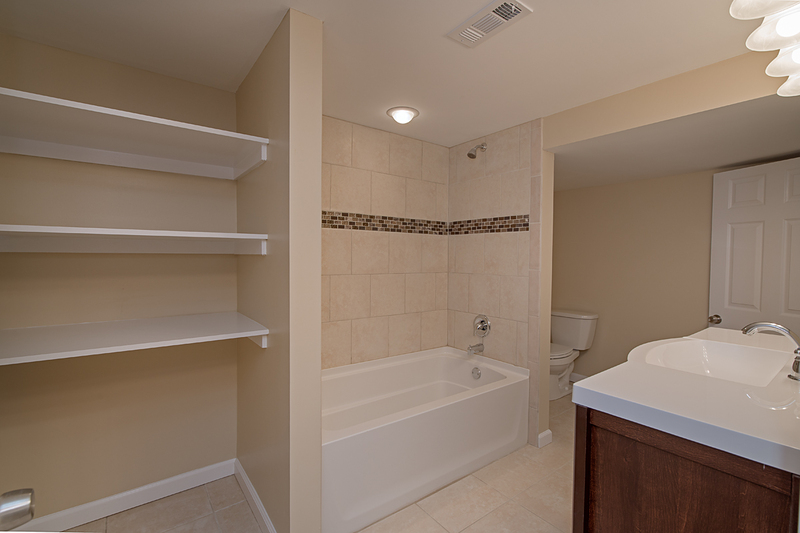 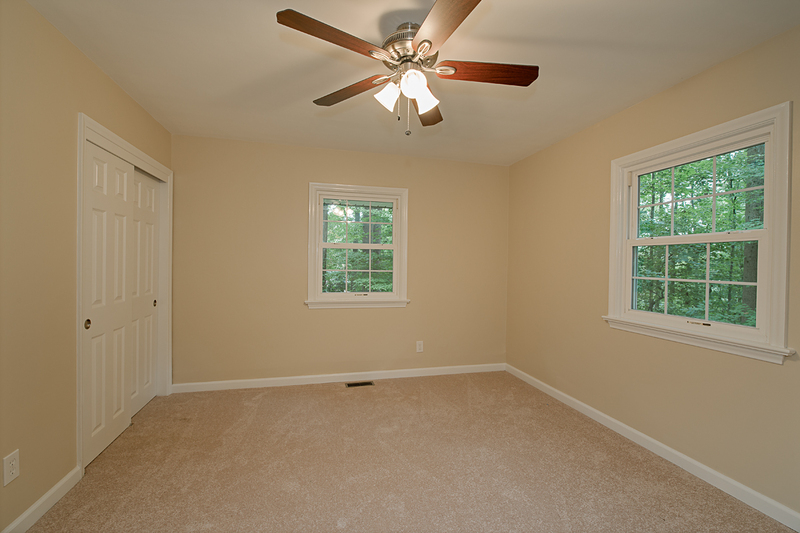 There are two additional bright and spacious bedrooms on the main level with great closet space in each. 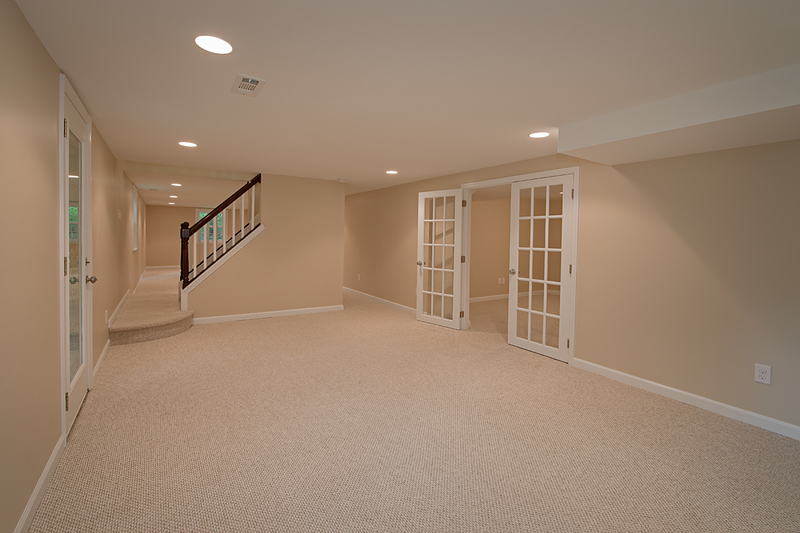 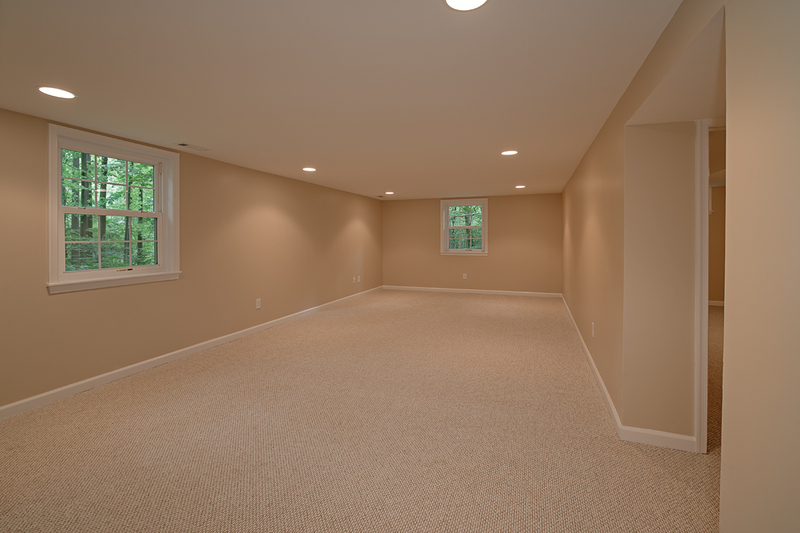 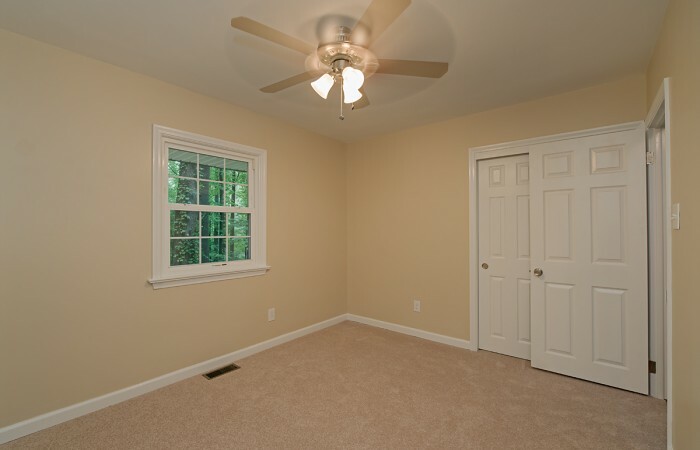 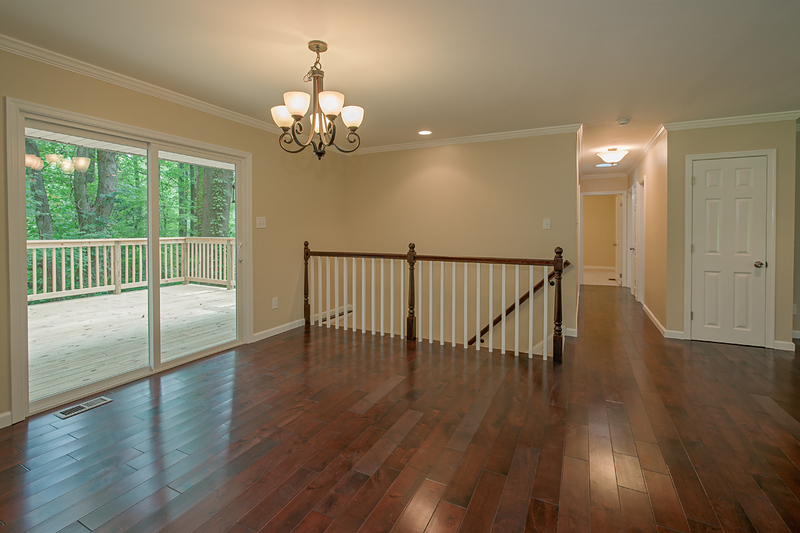 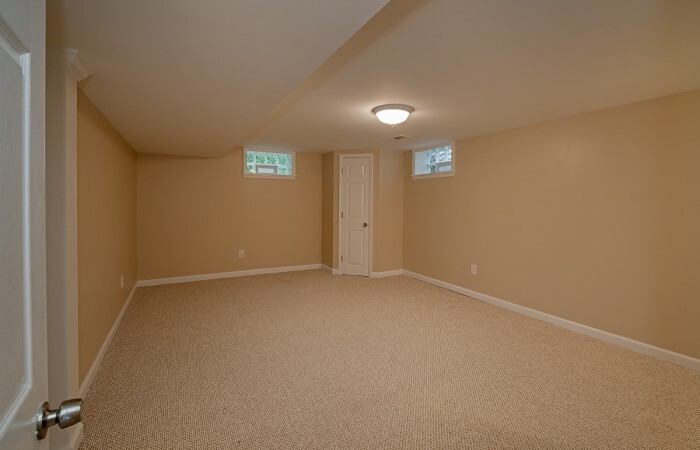 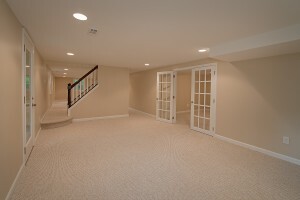 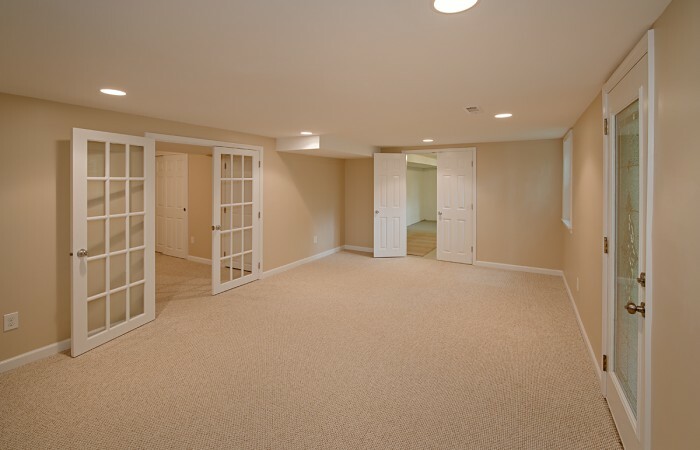 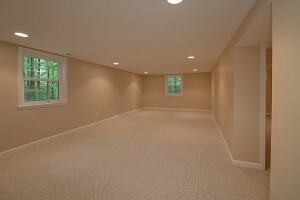 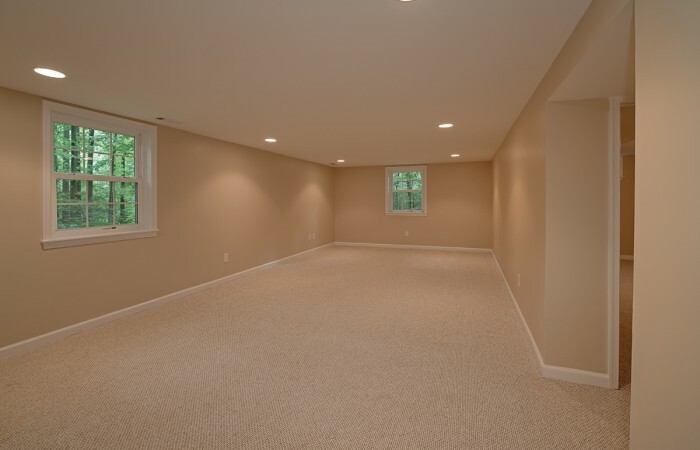 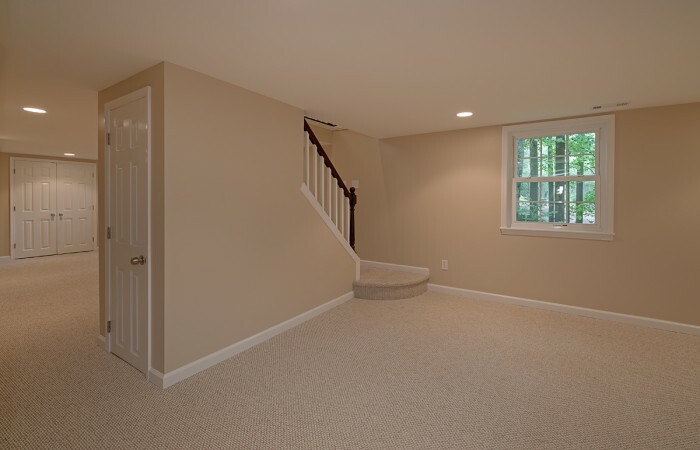 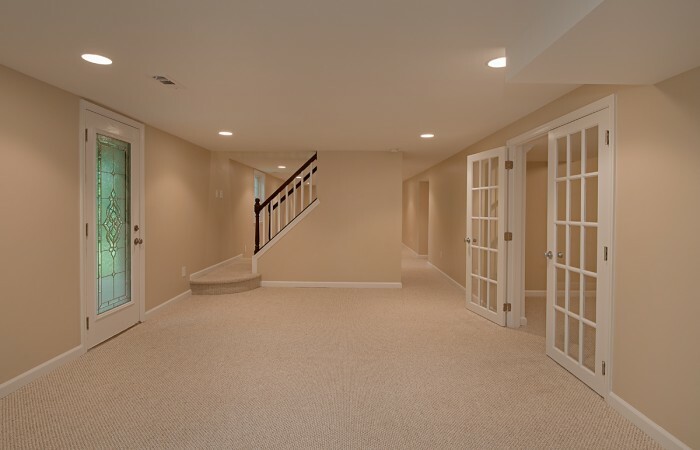 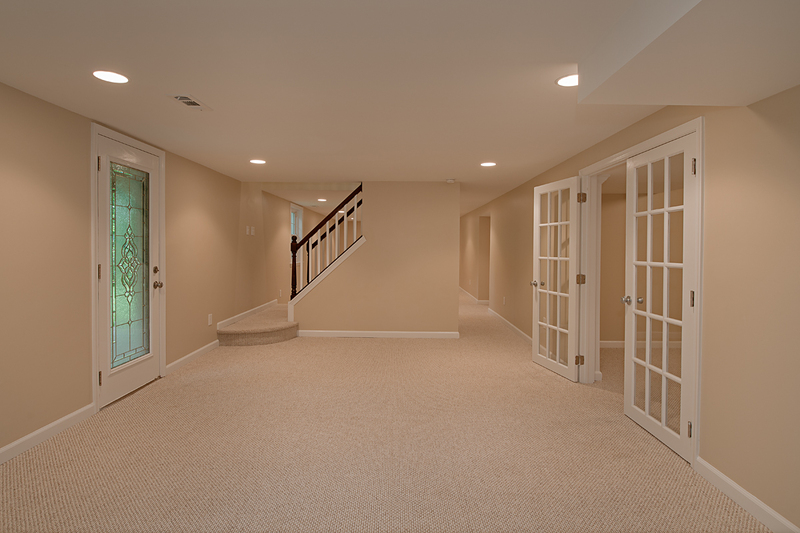 The lower level has two additional separate family/living spaces great for a media room, playroom etc. 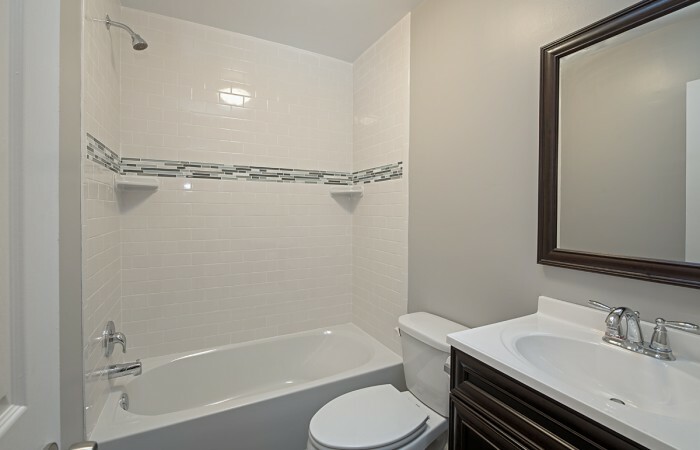 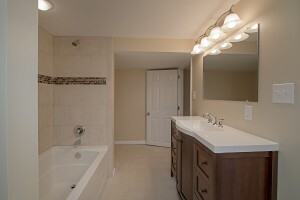 There are also two large bedrooms with ample closets as well and another full bath with 4′ vanity, 16″ tile floor and tub with tile surround and inlay. 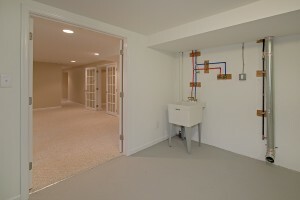 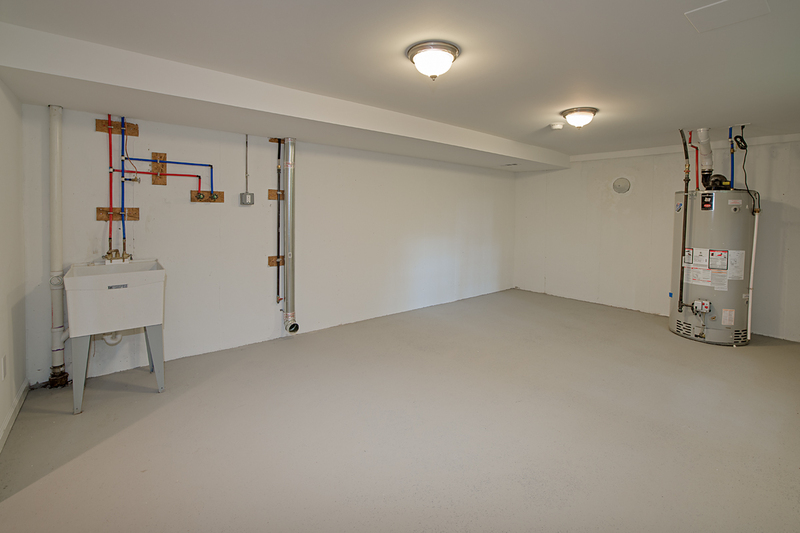 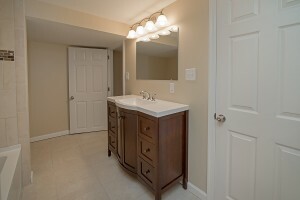 The basement also features a large laundry/storage room. 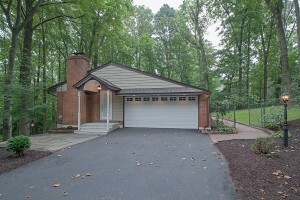 There is a two car attached garage with new door and opener. 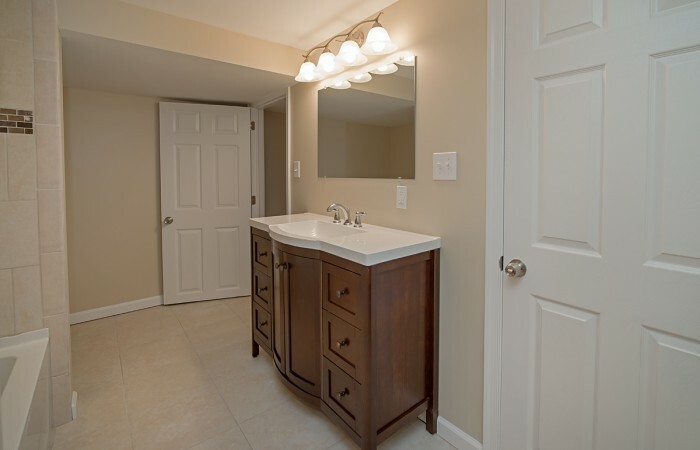 The home has many new upgrades including new roof, gutters, direct vent gas heater, central air, siding, insulation, 200 amp electric service, basement waterproofing system, carpets, paint, all new plumbing fixtures, toilets and tubs and so much more. 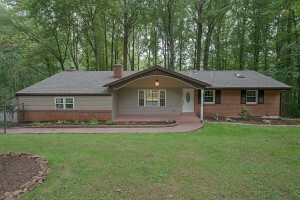 This home truly has everything you have been looking for and is in Rose Tree-Media School District. 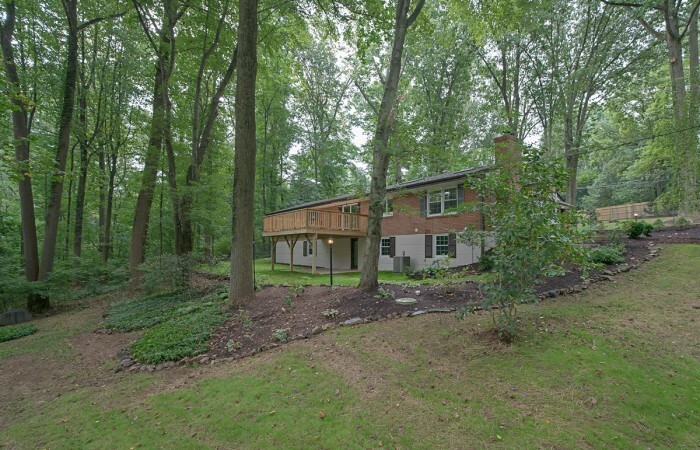 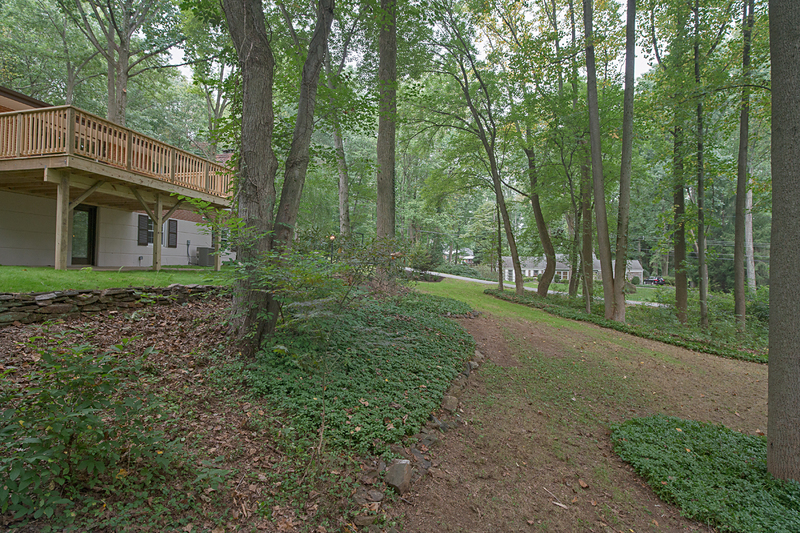 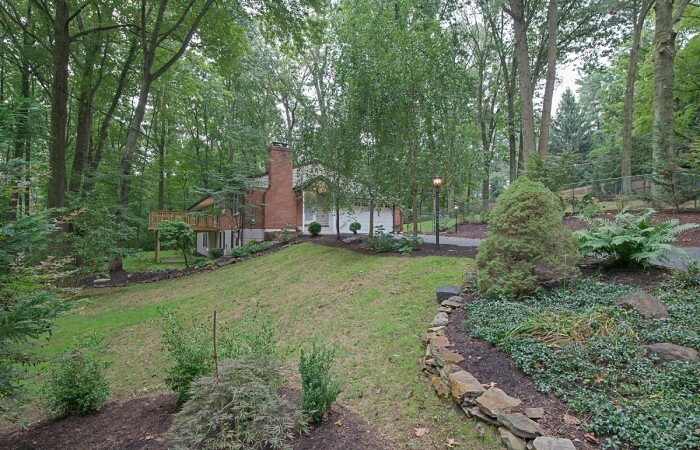 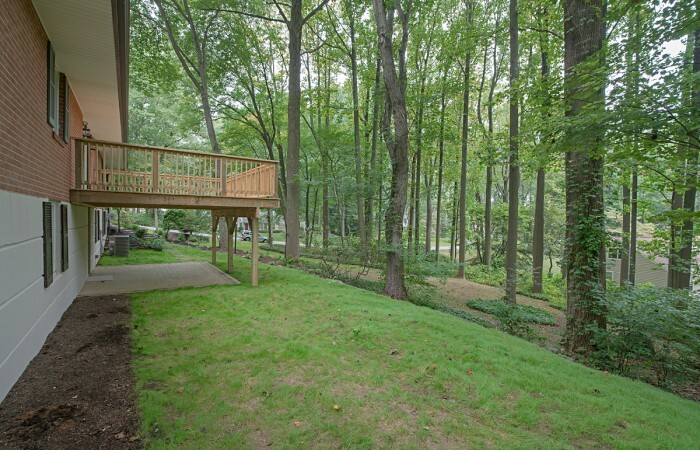 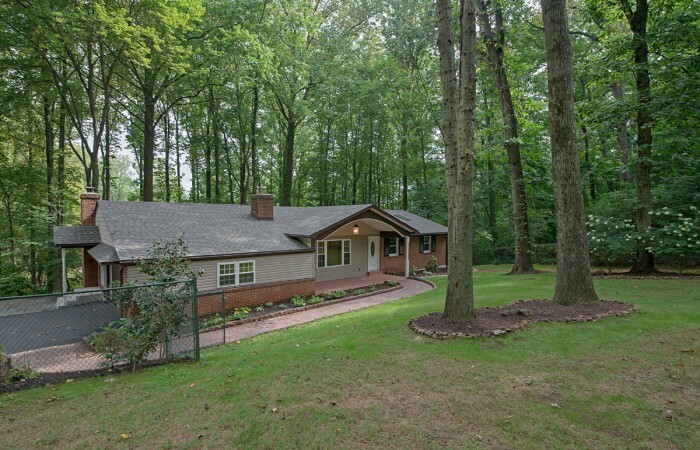 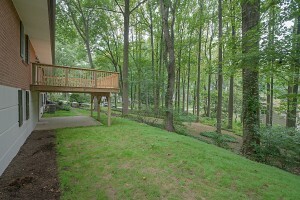 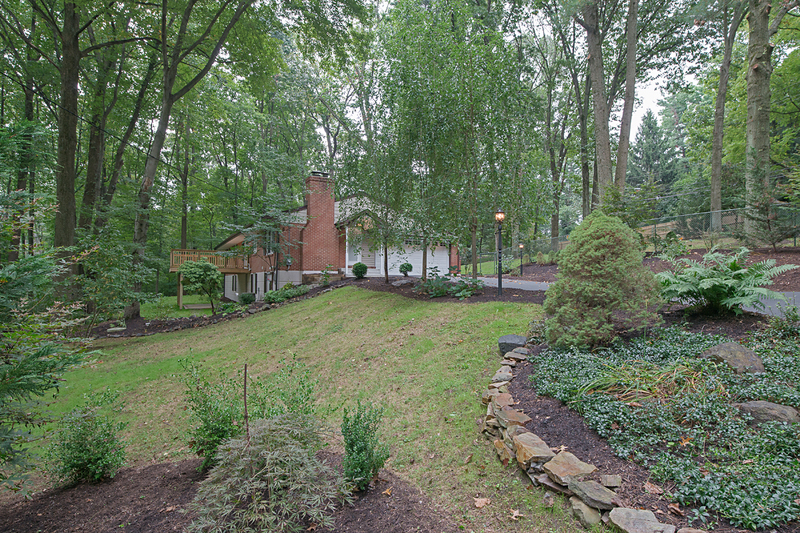 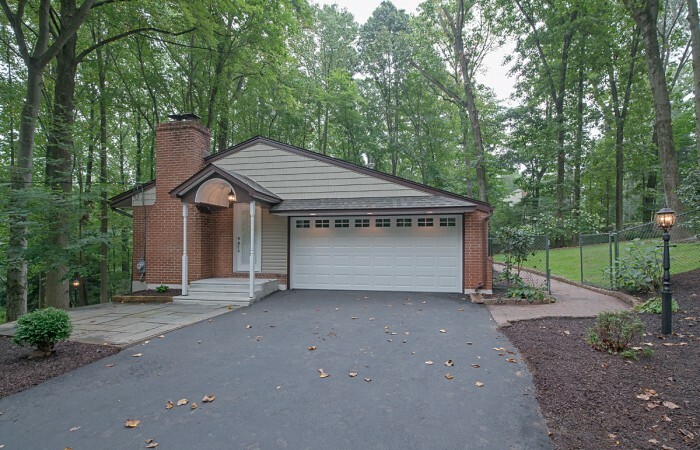 Close to everything but with a very private, wooded feel. 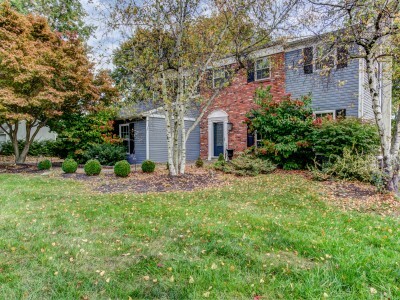 Schedule your showing to see this lovely home today before it is too late!